CHEER's Chair Janis Fletcher (far right) participated in a meeting on 20th April arranged by Elmbridge Borough Council to show the Government’s Loneliness Team some of the local initiatives on loneliness. Afterwards local M.P. 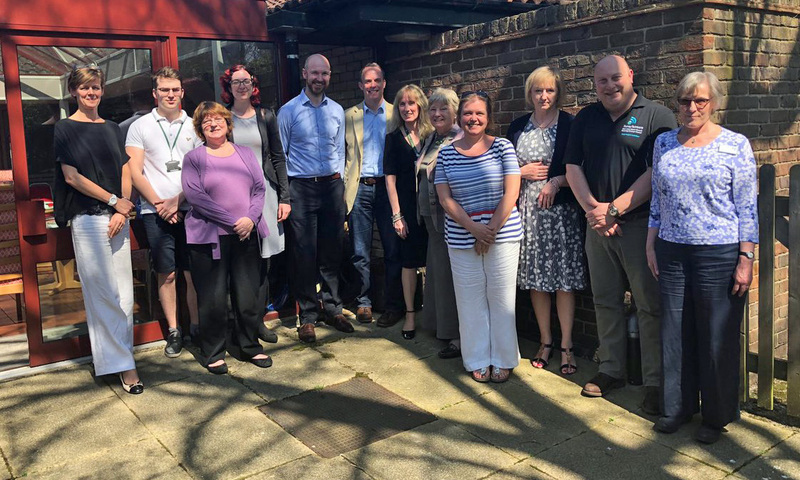 Dominic Raab (sixth from left) tweeted: 'Inspiring to join Elmbridge Borough Council and a range of local charities to show DCMS’s cross-govt Loneliness Team some of the great initiatives we have in Elmbridge to combat loneliness in the community'.